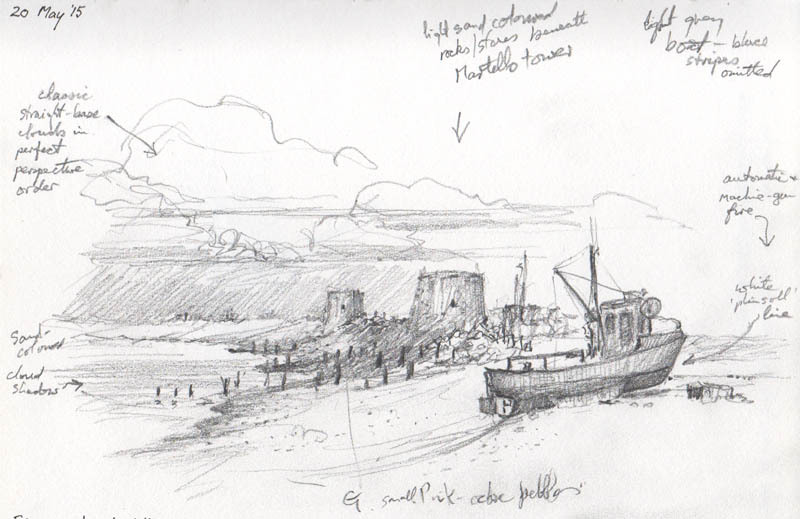 This entry was posted in aerial recession in landscape paintings, atmosphere, David Bellamy, sketching, sketching boats, sketching outdoors and tagged sketching, sketching notes by David Bellamy. Bookmark the permalink. 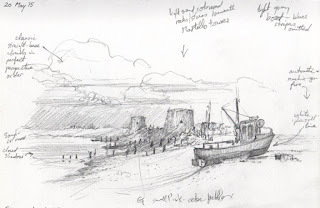 Another lovely blog and charming sketch, with a mention of my favourite paper SW High White which I love for how it seems to enhance the beautiful pigments of watercolour and improves highlights. Bernard, I’m so sorry to learn that you will no longer be able to make Patchings, as it’s such a lovely day out. There must be a lot of folk in your position. Art is a great healer and it’s uplifting to spend a day amongst like-minded people. I hope the blog helps you.